After decades of closures, including Ladyburn, St Magdalene, Rosebank, Littlemill, Kinclaith, Inverleven… the Lowland region finally has something very special to celebrate. 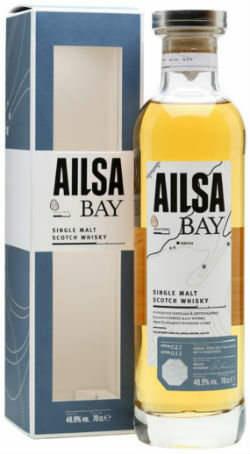 Not long after Bladnoch was given a new lease of life, the first release from Ailsa Bay has now hit the UK market. Before I get to the whisky, let’s look at this distillery’s (albeit brief) history. 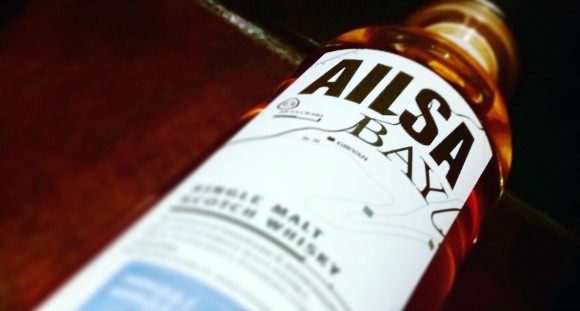 Owned by William Grant & Sons and established in 2007, Ailsa Bay is located within the Girvan Grain Distillery complex and has a lot in common with Ladyburn, another malt distillery which was located here and operated for a very short time between 1966 and 1975. Ailsa Bay takes its name from Ailsa Craig, the large granite rock which sits a few miles out in the Atlantic Ocean, and is the source for all of the UK’s curling stones (I love a random fact now and again). 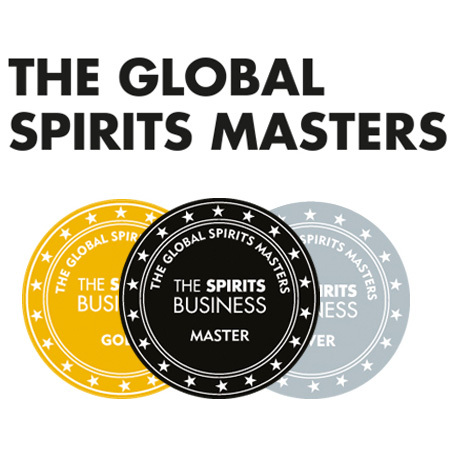 It primarily produces unpeated ‘Speyside style’ spirit, in order to satisfy demand for the Grant’s blended whiskies, but for two weeks each year it produces peated new make. Of this fortnight, it produces lightly peated (mid-20s ppm) new make one week and heavily peated (late 50s/early 60s ppm) new make the other. It is whisky from the latter, heavily peated, style that the inaugural release is comprised of. Following mashing and fermentation, in one of its 24 stainless steel washbacks, the wash is distilled in stills identical to those seen at Balvenie – one of the factors in producing ‘Speyside’ style whisky for most of the year – which are onion shaped with a boiling ball. Of the 16 stills, 4 have stainless steel condensers which give rise to a meatier, more sulphury new make compared to that which has been condensed in traditional copper condensers. Finally, the maturation regime is somewhat flipped on its head. 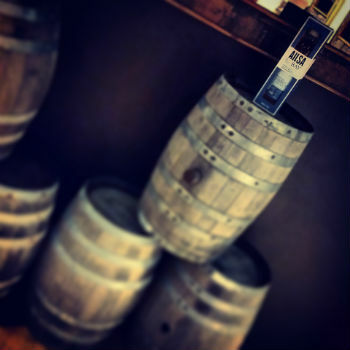 The new make spends 3-6 months in baby bourbon Hudson casks before being transferred to first fill, refill and virgin American oak casks. Interestingly, the ppm of the final liquid is measured and adorns the bottle, becoming only the second brand I can think of (AnCnoc’s Peaty Collection being the other) which does this. With a ppm of 21, it’s undoubtedly going to be pretty smoky. There’s also this new measurement of sppm, or sweet parts per million, which is an index derived from 5-6 different sensory perceptions of sweetness. The science behind this is all very top secret, but the first release has been given an sppm of 11… whatever that means. I suppose this will become a benchmark for future releases to be compared against, but for now, it doesn’t really mean too much to me. The hashtag for last week’s UK launch at Usquabae Whisky Bar in Edinburgh was #PeatAndSweet, and that really embodies the style of this initial release. Brian Kinsman, Maltmaster at Glenfiddich and Ailsa Bay, said that, “using our precision distilling methods and a special process for cask maturation, I am able to carefully control the outcome of the whisky. 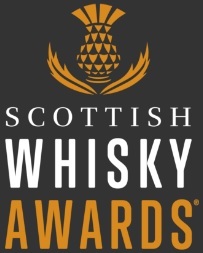 With Ailsa Bay, I took exceptional peated malt and ex Baby Bourbon Hudson casks to create a whisky with a balance of smoke and sweetness, to occupy a new space on the flavour map.” Precision distillation huh? What happened to good old folklore, wives tales and centuries old legends? I suppose that’s modern day whisky making for you. Nose: Peppery to begin, with salt and vinegar crisps and maybe even some smoked bacon. This has a slight savoury edge to start. Then the sweetness pervades, with lemon sherbet, vanilla sponge cake, key lime pie and some marzipan. Smoked applewood and distant bonfires round this off. Unexpectedly complex for what must be a rather young whisky. Palate: The creaminess of the mouthfeel is initially apparent, with linseed, macadamia nuts and vanilla essence. There’s spice there but it’s in the background – cumin and coriander seeds. There’s grippy smoke too, with BBQ embers and heavy char giving good depth to the whisky. Finish: Very, very long. Sweet smoke, bubble gum and even some floral notes – angelica and jasmine. Overall: A very impressive dram. Highly recommended. The sweetness and the smokiness don’t compete with each other, they complement each other tremendously well. I wasn’t expecting to find such complexity in this whisky, and it’s not a typical Lowland whisky, or indeed a Speyside-style whisky. It’s something quite different and it’s very tasty. The price point and the bottle are also both very attractive, and the stopper contains a piece of granite from Ailsa Craig – nice touch. Should you buy a bottle? Put it this way, I already have one in my cabinet at home. This entry was posted	on Saturday, March 5th, 2016 at 10:56 pm	and is filed under Featured, Reviews. You can follow any responses to this entry through the RSS 2.0 feed. Responses are currently closed, but you can trackback from your own site.